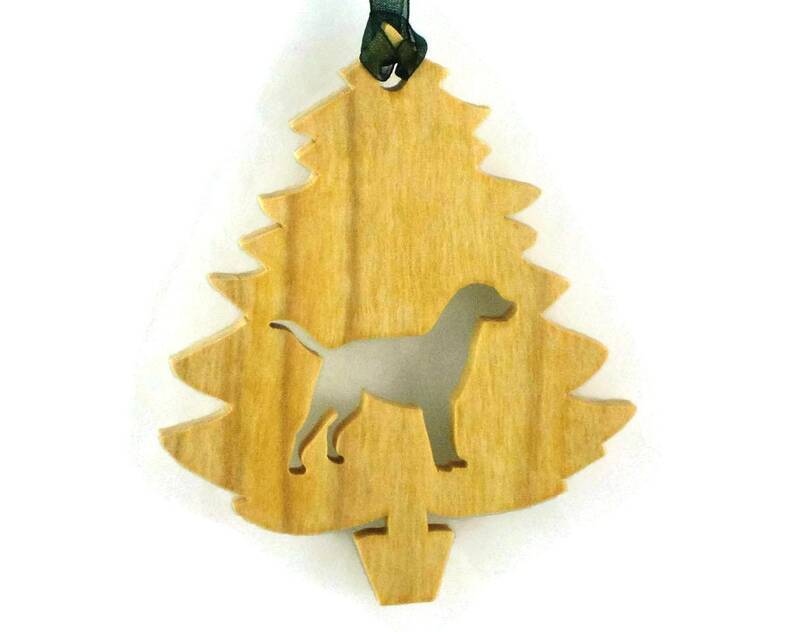 Show your love for Labradors Retrievers by proudly displaying this handmade Labrador Christmas ornament on your Christmas tree. 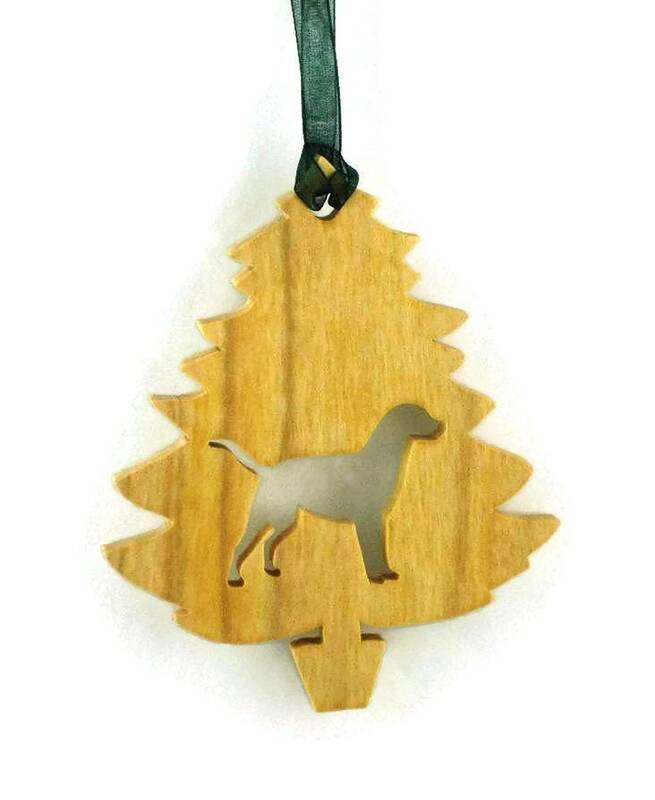 This Labrador retriever Christmas tree ornament was cut out by hand (handmade) from 1/4 inch thick Poplar wood using a scroll saw, and features a silhouette of a Labrador cut out of the center of a Christmas tree shaped ornament. 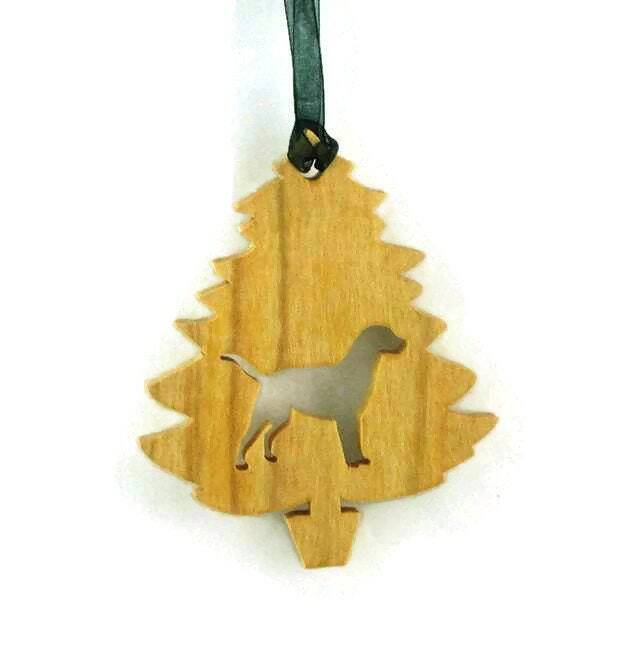 A various color fabric ribbon is attached for ease of hanging this on your tree. A natural color Danish oil finish is applied to bring out the natural beauty of the wood as well as to protect its natural beauty for many years of enjoyment. What a great gift to treat yourself or to give to a friend. 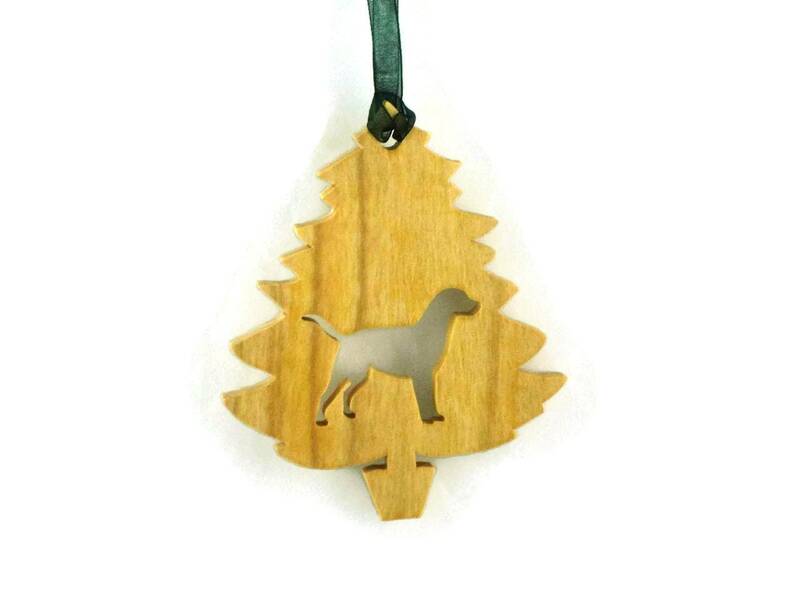 Our daughter loved her ornament, and it shipped fast and was beautifully crafted. This is a beautiful ornament! 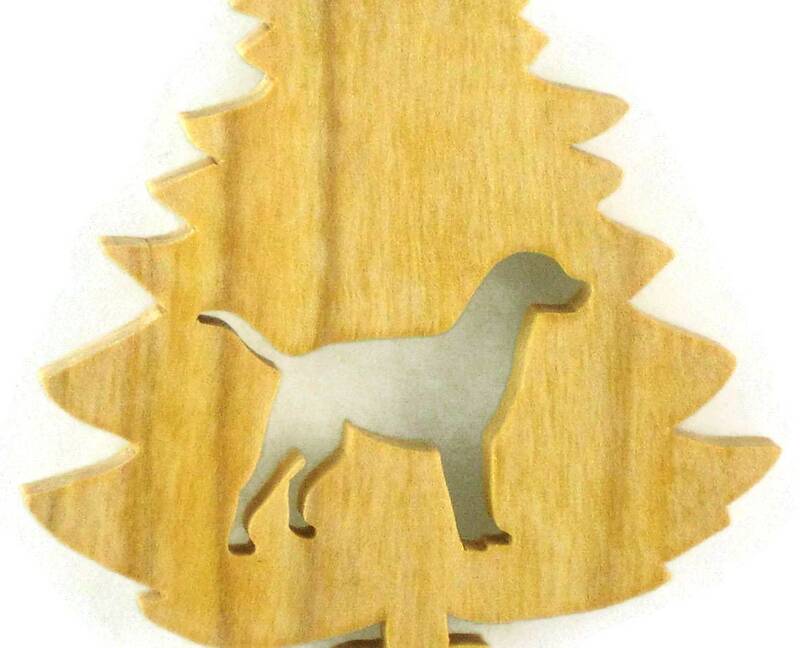 The wood is of a nice quality, and the finish is smooth and beautiful. Shipping was very prompt, and I am completely satisfied.